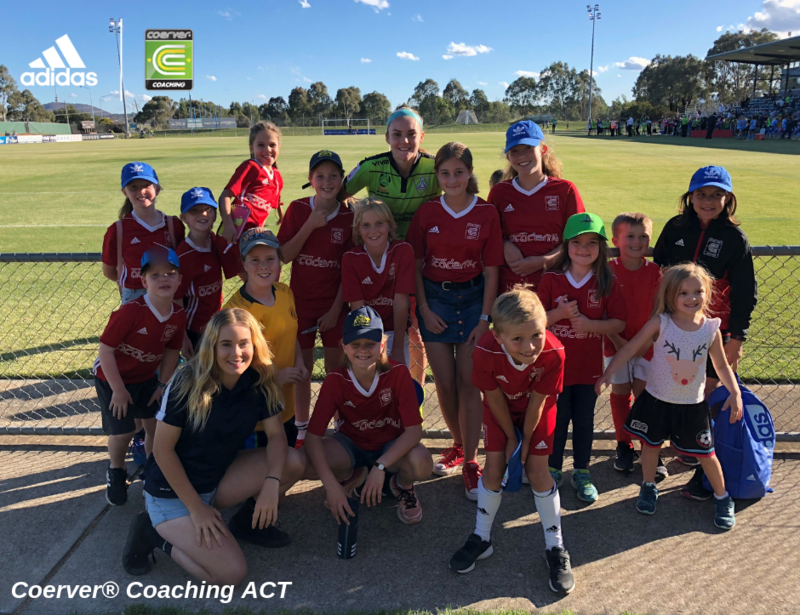 Our Coerver Coaching ACT Performance Academy Youth Girls and Senior Girls squads had the opportunity to attend a Canberra United W-League game at the end of 2018 where Ellie made time to speak with the girls after the game, sign autographs and take pictures. 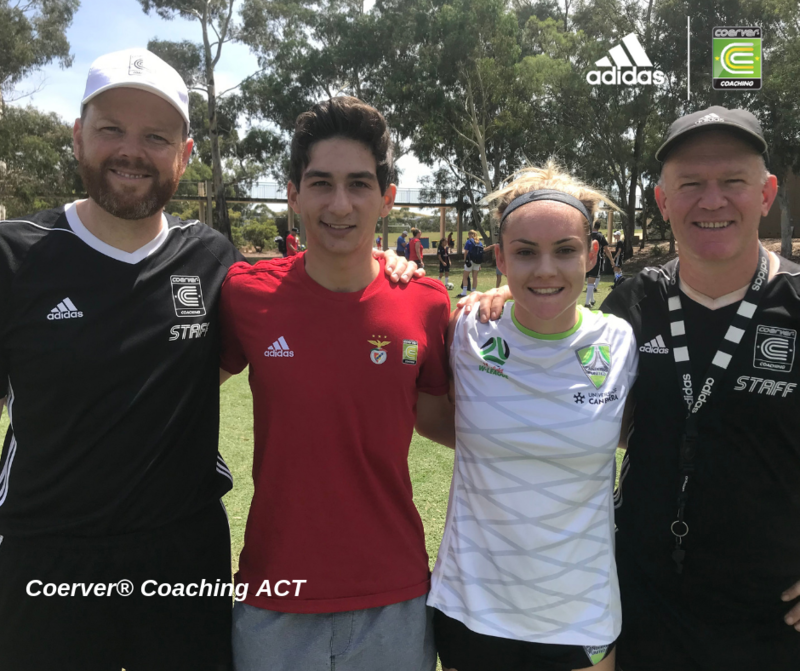 Ellie said what she enjoyed most about Coerver Coaching was her Coerver tour to Japan and especially loved making the Coerver DVD's in Tokyo and at the AIS in Canberra. Ellie also said Coerver gave her the skill she needed to be competitive, especially in the boy's teams she was a part of. It also taught her about discipline and being thorough with her preparation. Ellie passed on to all of the girls in our Coerver Coaching ACT programs to listen to the coaches and to try and do everything to the best of your ability! 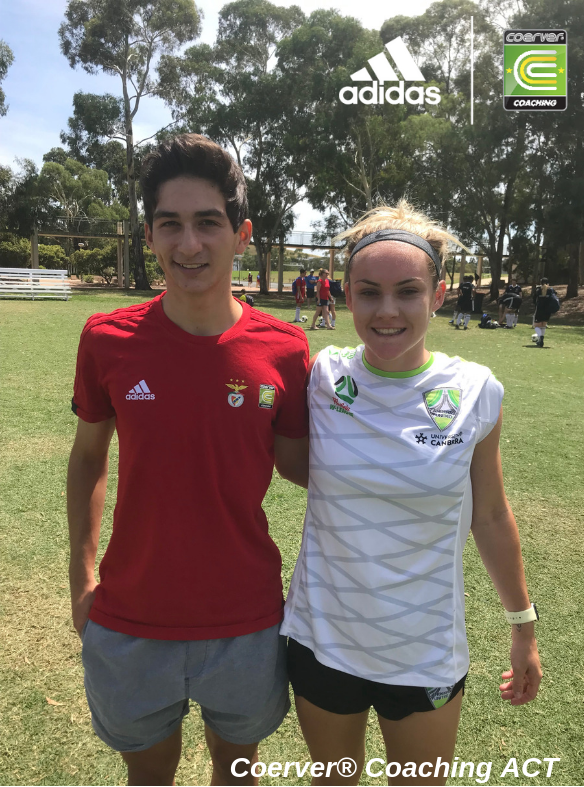 Zac recently visited our players and parents during the Asia Pacific Performance Camp where he did a Q&A session discussing his time in the Benfica International Elite Development Program and signed autographs. Zac said "There are no short cuts in football. You have to work every day and not only when you are at formal training sessions. Having the ball at your feet and practicing ball skills is continuous development in football. It is not an accident that most of the best players in the world are also the hardest working. Focus on short term goals and you will be ready when opportunities come your way. Coerver Coaching ACT helped me improve my football technique from a young age. Like anything in life you get out what you put in. I am at a stage that the moves I do on the pitch are just second nature to me. Portuguese football is very technical and fast so if you have poor technique you will be found out very quickly. Coerver coaching has significantly helped my technical skills throughout my footballing career and has shaped the player I am today. Despite finishing the program a few years ago, I feel Coerver has opened new pathways for my footballing career and has exposed me to a professional environment. I would say I have certainly benefited from this experience at Benfica." One of Coerver Coaching's most experienced Coaches and professional educator Simon Bugden said "Ellie and Zac were the epitome of what it means to be a Coerver player. They loved the challenge of learning new skills in a competitive environment and both were intrinsically motivated from a young age. They understood the importance of home training and were outstanding examples to their peers. During a filming session in Japan, their technical skills, athletic ability and professional approach gave an insight into their potential." A big thank you to both Zac and Ellie and wish them all the best for 2019 and look forward to seeing them return to Coerver Coaching ACT programs in the future.